Data is useful, especially when you know how to use it. Let’s face it. Data is useless without perspective and understanding, and unless you have the tools to turn data into information. Apperson scanners, forms and software unite data with your Windows- or Mac-based computer, enhancing scoring, analysis and reporting. Release data to popular gradebooks, Microsoft Excel, or an institution database. To get started, all new customers can enjoy a 25% savings on their first order. Click here to find out more. Collecting data is not necessarily every teacher’s cup of tea, but in today’s teaching climate, it’s definitely a necessity. 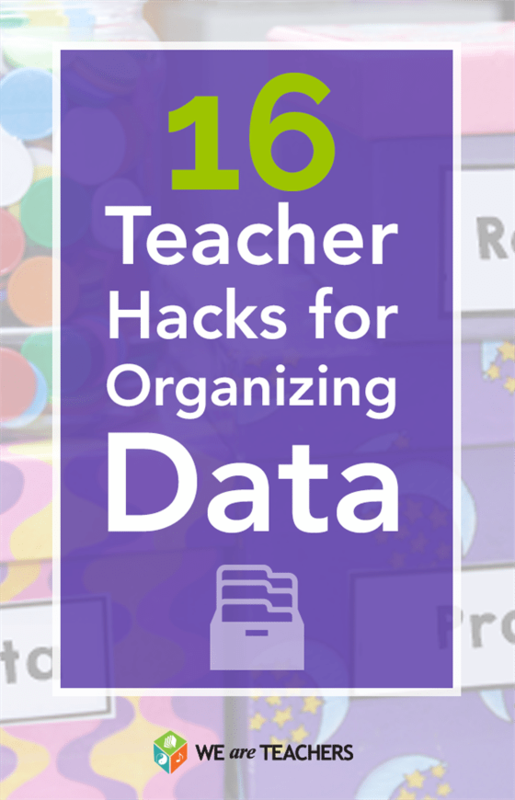 After all, good data can provide important information to teachers and students and go a long way toward improving teaching and learning. And if keeping track of all the streams of data coming your way is not exactly your strong suit, here are a few hacks we found to make the process easier and maybe just a little bit more fun. In the world of data collection, this binder is going to be your best friend. Think of it as command central for all things numerical. This version has sections dedicated to parent communication, behavior and assessment data—all brilliantly organized and easy to set up for even the most organizationally challenged. In addition to the documents included above, you can add these documents to your fabulous binder as well. 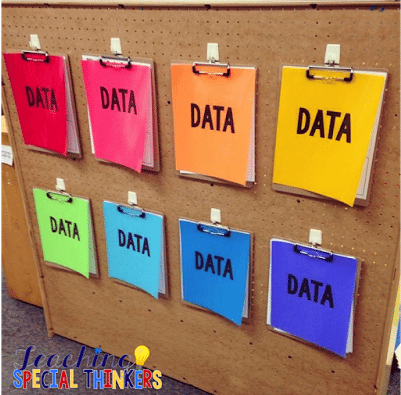 If you teach special sections or small-group classes, you can keep each student’s data conveniently attached to a clipboard—color coded so there’s no need to rifle through to make sure you’ve got the right one—hung on a pegboard. 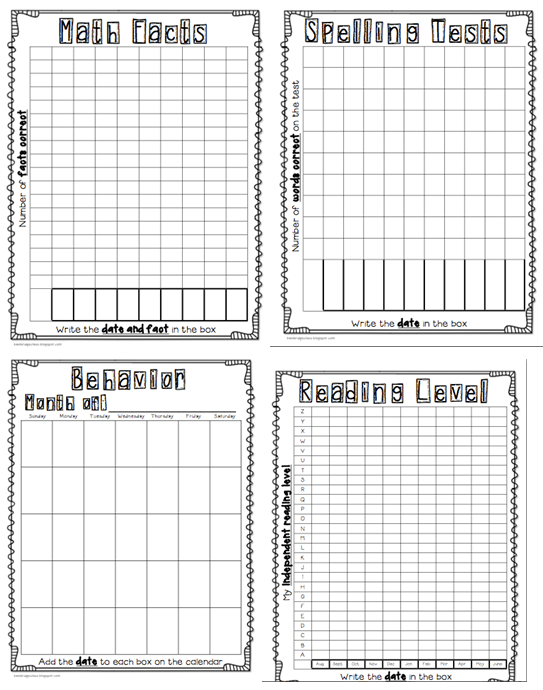 These are quick and easy to grab so you can take notes when meeting with individual students. Often you want to hold on to papers after you record the numbers. 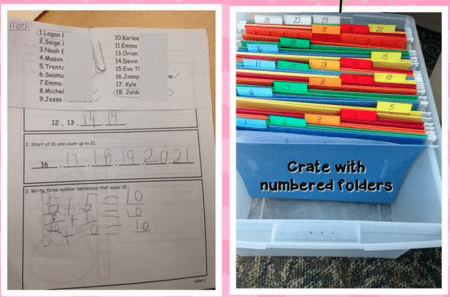 Rather than keeping copies of assessments in your teacher binder, making it bulky and overstuffed, this crate system is a great way to keep track of work samples and other portfolio items. 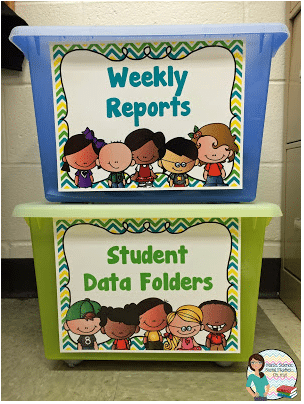 If your school requires weekly data reports, you can store them here for easy access. Each student can collect his or her report to take home on the assigned day. 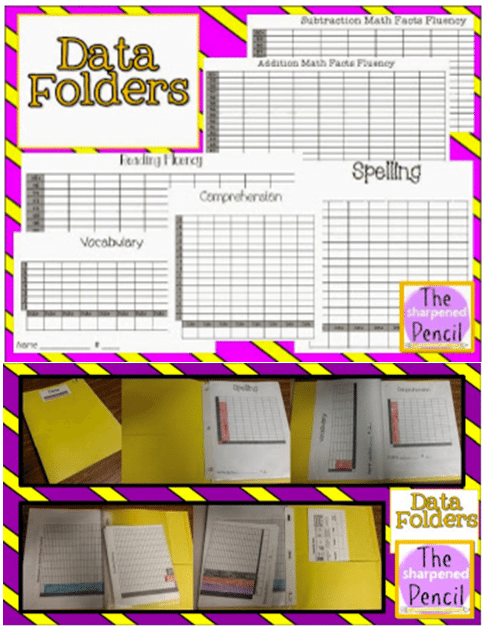 Also, if your students use their own folders to track data, this is a handy storage place. Kids can access their folders when they are needed, but there’s no chance of them getting crumpled into their desks or being lost. SOURCE: Math, Science, Social Studies … Oh My! Be still our hearts: sticky notes! They’re right up there in the popularity ranks with ziplock bags for most teachers. 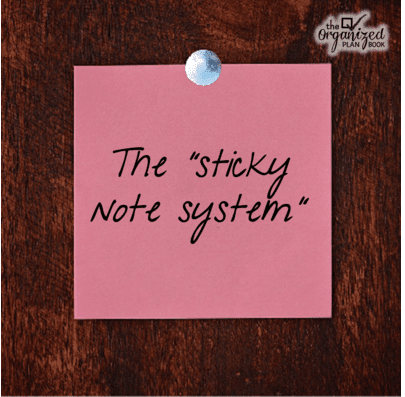 This is hands-down the easiest, quickest way to keep track of anecdotal notes and informal observations. 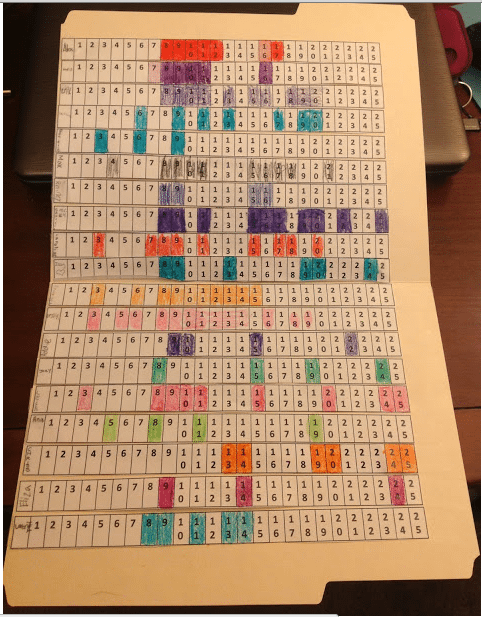 Under the category “Work smarter, not harder,” this genius idea enlists your students’ help to record their individual data onto a strip of graph paper, which the teacher then pastes together inside a manila folder. Voilà! Instant data bar graph! 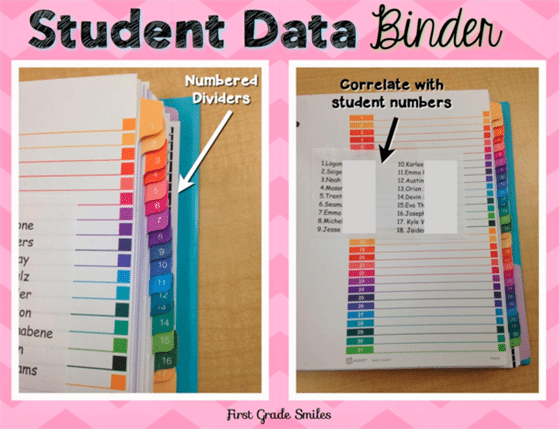 Keeping track of their own data (for certain types of assessments like spelling tests, math facts, reading fluency scores, etc.) gives students ownership of their work and progress and provides them an opportunity to work on their graphing skills to boot! We like these sheets from blogger Bunting, Books, and Bright Ideas as well! Another genius hack! 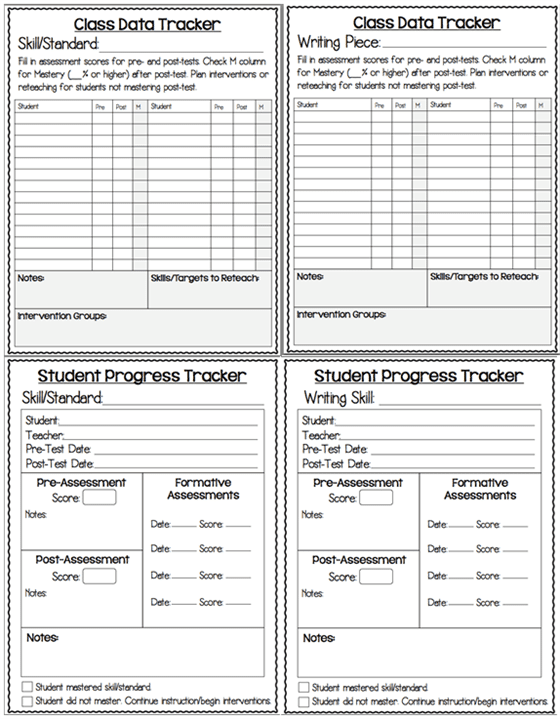 A tracking system for student accountability—all collected by students as part of weekly jobs. 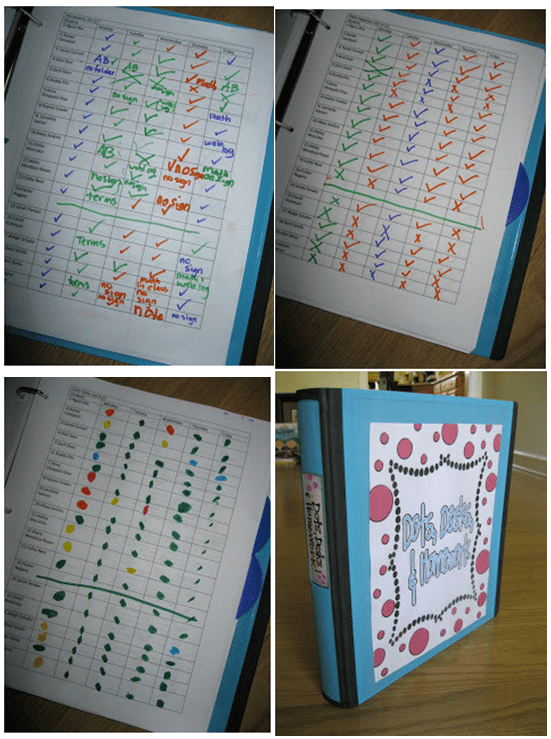 Kids take responsibility for monitoring their own behavior, organization and homework. What a great tool for cultivating ownership of their own learning! 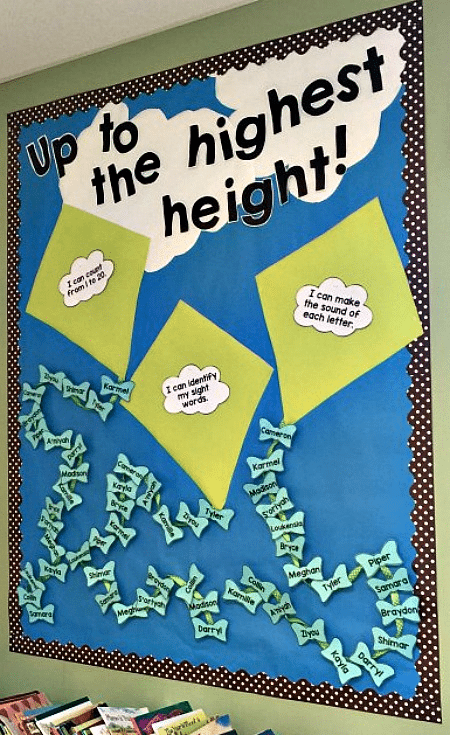 There’s no doubt that publicly displaying student achievements on classroom data walls as a means of motivating students is a controversial subject. 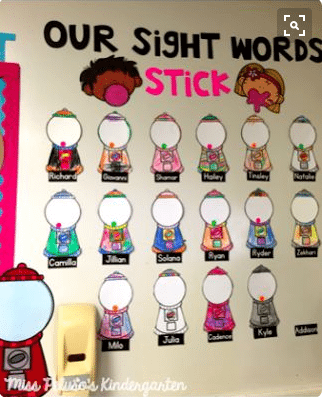 However, we found some adorable examples of data walls that might just do the trick. The key to these boards is that they are limited to a single skill setof foundational skills that mostly require memorization. 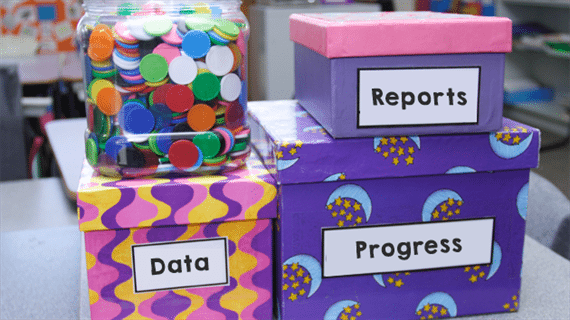 Giving students permission to monitor their own progress makes it feel more like a game than a report card. Kids can add their own bow to the tail of each kite as they master the skills listed. 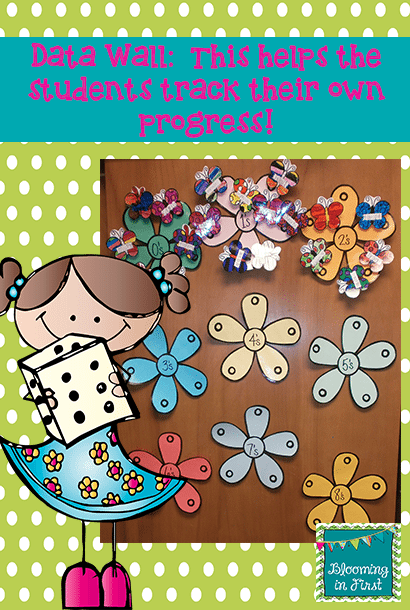 Students get to decorate and attach their own butterflies to each fact family flower. Each student gets to add a gumball to the gumball machine as they master each sight word. 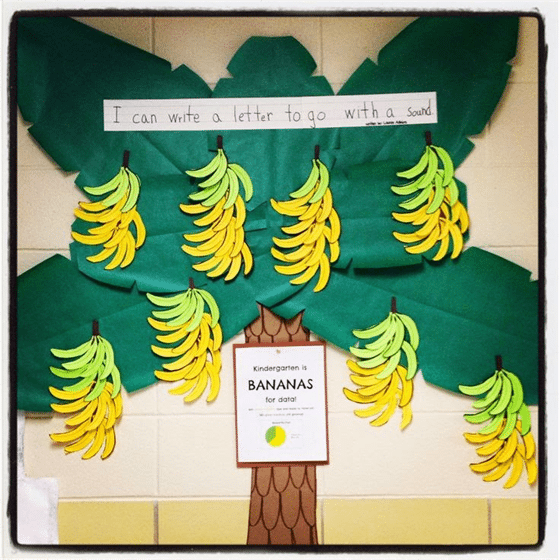 Early learners can add a banana with their name on it to each cluster as they master the individual letter sounds. 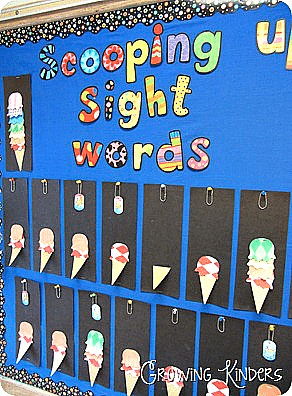 Kids can add their favorite scoop to each sight word ice-cream cone. This blog is sponsored by Apperson, a company dedicated to making assessment easier for educators. Click here to learn more about our special, end-of-the-school-year offer, 25% off of your first order for first time customers.